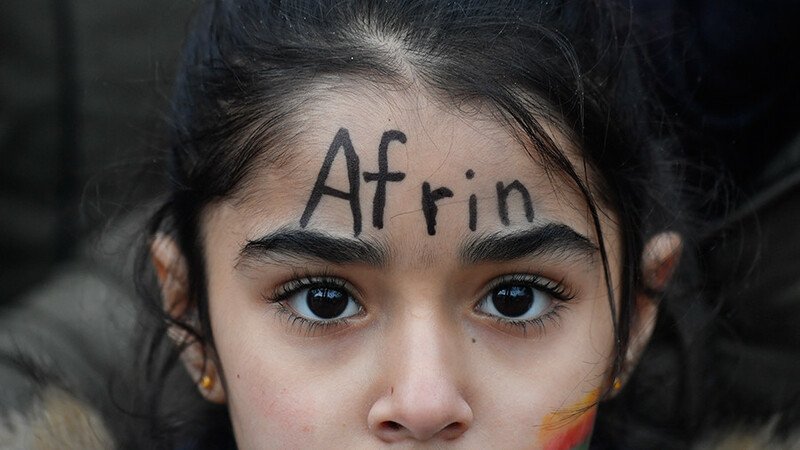 Thousands of Kurds marched through the streets of Germany’s Cologne to protest Turkey’s military campaign against Kurdish militias in Syria’s Afrin. Clashes erupted when police stepped in to break up the protest. 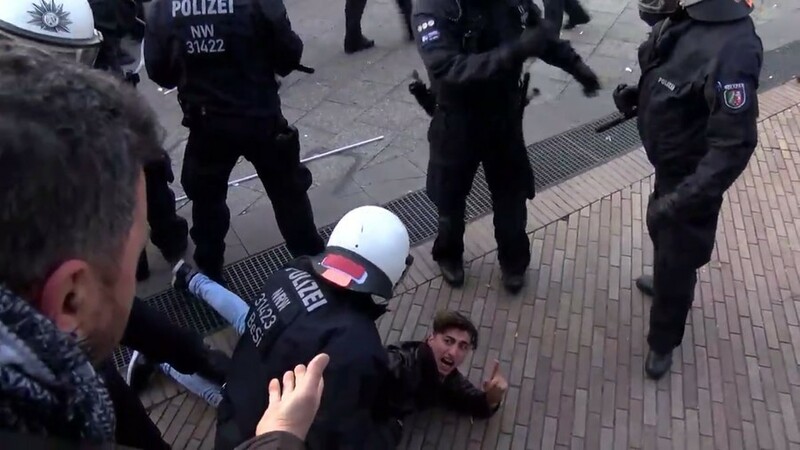 The police intervened after demonstrators repeatedly defied the ban on waving flags carrying the symbol of the Kurdistan Workers’ Party (PKK) and a portrait of its jailed leader, Abdullah Ocalan, which are outlawed in Germany. Earlier, police had halted the procession on several occasions in attempts to seize the banned items and prevent the demonstrators from using outlawed symbols. Some 14,000 people from all over Germany gathered in Cologne to voice their discontent with Ankara’s actions in northern Syria, German media reports, citing police sources. German press agency DPA put the number of the participants at 20,000. The protesters chanted “Dictator Erdogan” and “Terrorist Erdogan,” in reference to Turkish President Recep Tayyip Erdogan. “Freedom for Kurdistan” and “Shame on you, Europe!” read some of the placards carried by the demonstrators. The rally was organized the NAV-DEM, a Kurdish umbrella organization thought to be close to the PKK, which is listed as a terrorist organization in Turkey, the US and the EU. Ahead of the demonstration, German police said there was a “high risk” of violence. Some 2,000 police in riot gear, mounted officers and water cannons were deployed to the scene. Some clashes between police and the protesters erupted even before the march began, German media reports. One person sustained light injuries in these scuffles, a local daily says, adding that the start of demonstration was delayed for about two hours. Although the march for the most part passed peacefully, police described the situation as “very tense.” Two people were detained by police for distributing items with outlawed symbols on the sidelines of the protest. Eventually, police decided to end the demonstration earlier than planned and called on the protesters to disperse. However, some demonstrators apparently decided to continue their protest as hundreds of people gathered near Cologne’s central railway station. As police attempted to disperse the crowd, scuffles broke out. Protesters threw flags at the officers and hit them with flag poles, German media reports, citing police sources. Police responded to the resulting brawl with tear gas. It is unclear whether the clashes resulted in any injuries or arrests. In the meantime, Katja Kipping, the co-chair of the German Left Party, criticized the police decision to break up the demonstration. She accused authorities of “kneeling down to Erdogan” in a Twitter post. Kipping was scheduled to speak at the Kurdish rally in Cologne, but the event was cancelled by police. 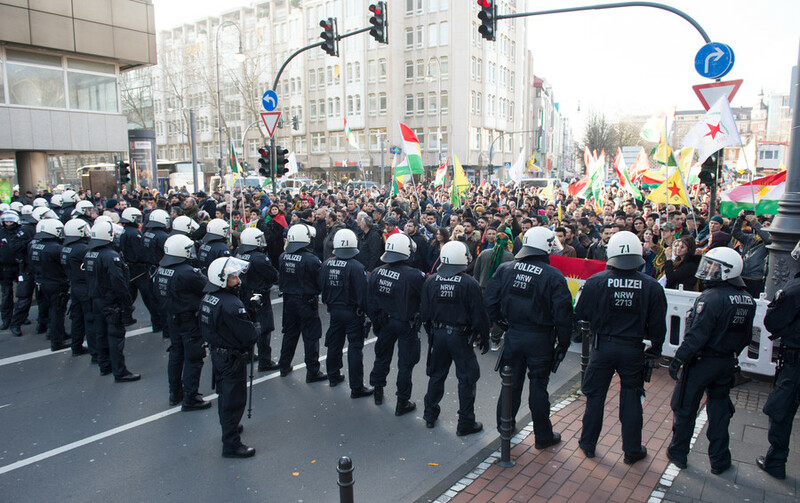 Smaller demonstrations against the Turkish operation were also held in Germany this week. Some 450 people rallied in Hamburg on Friday, while a smaller march was held in the city on Monday. Some Turkish mosques were also targeted in Germany this week. A prayer house located near Hamburg had some of its windows broken and graffiti daubed on its walls. Another mosque in the city of Kassel was also vandalized, DPA reports. 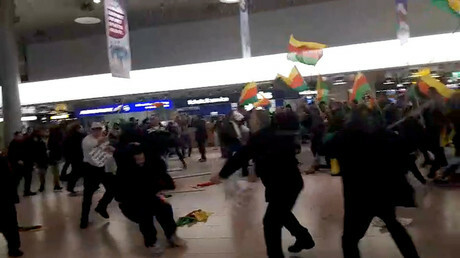 A mass brawl between Kurds and Turks allegedly broke out at Hannover Airport on Monday. The fight reportedly involved up to 180 people in total. 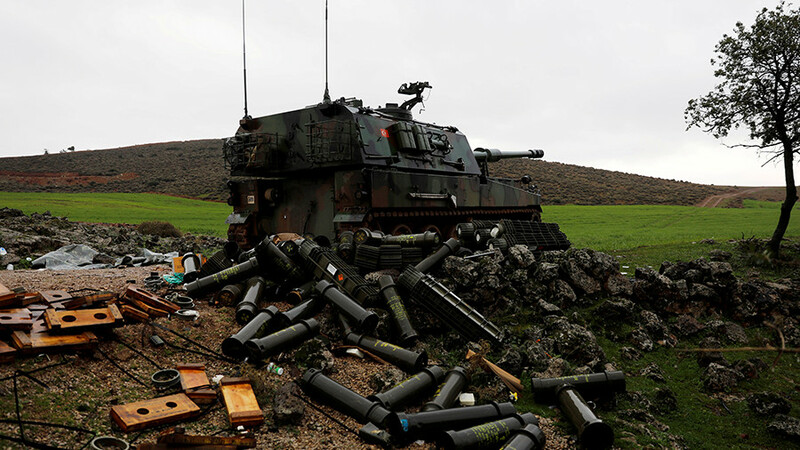 Ankara launched its military operation against the Kurdish-held enclave in north-western Syria on January 19 as it started shelling Kurdish-held areas of Afrin. 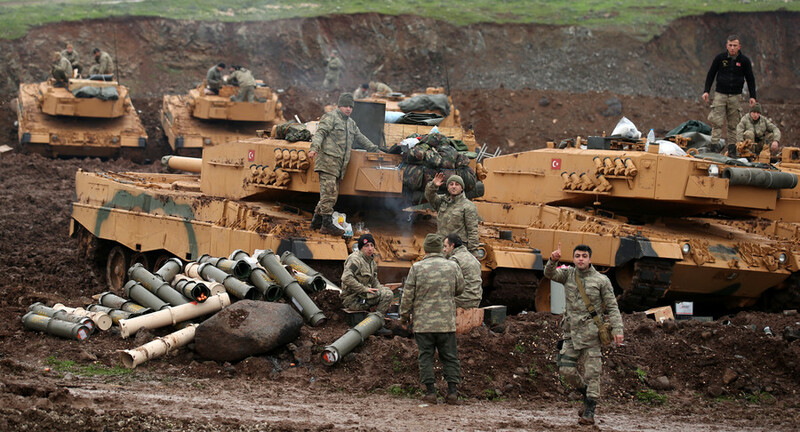 The ground phase of the operation started on January 21. 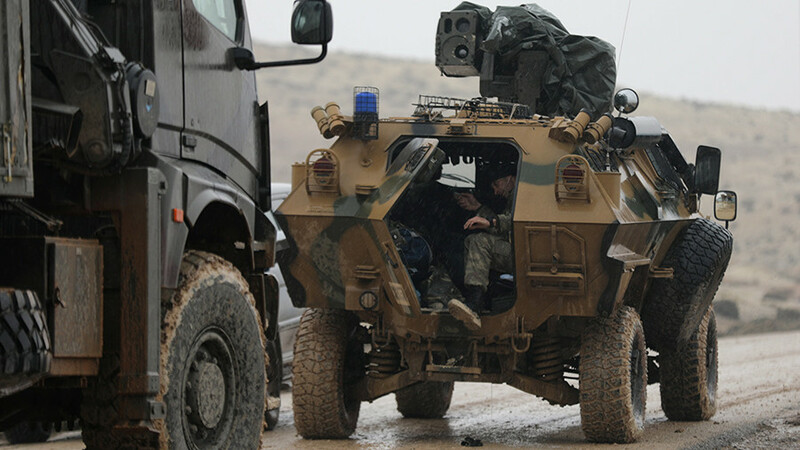 Turkey seeks to prevent the PKK and YPG, which it considers to be terrorists, from “infiltrating” Turkish territory and to create a 30km “secure zone” within Syrian territory near its border. The operation reportedly claimed the lives of dozens of civilians, according to the Kurdish sources cited by Syria’s SANA news agency. 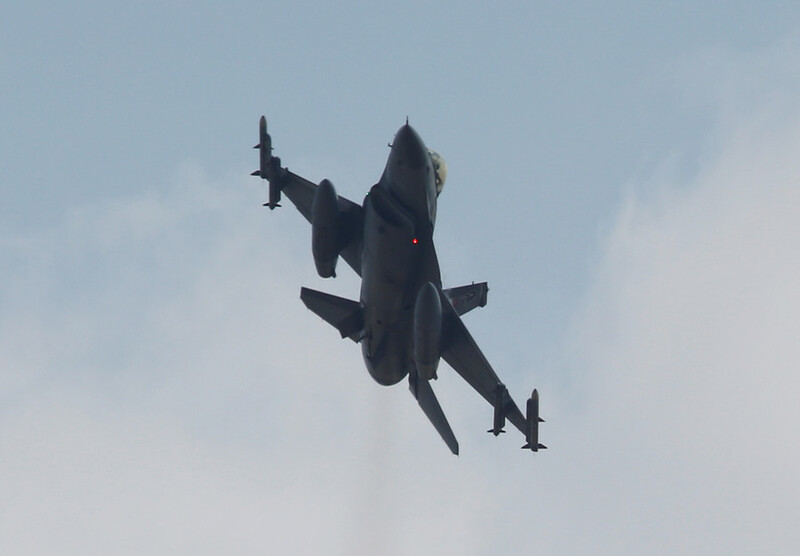 In response to the Turkish offensive, Kurdish militias shelled Turkish border towns. The latest such attack killed two people in the Turkish town of Kilis and left a dozen more injured, according to the local authorities.